I refuse to allow America to become a place where gay people, Christian people, and Jewish people, are the targets of persecution and intimidation by Radical Islamic preachers of hate and violence. It’s not just a national security issue. It is a quality of life issue. If we want to protect the quality of life for all Americans – women and children, gay and straight, Jews and Christians and all people – then we need to tell the truth about Radical Islam. 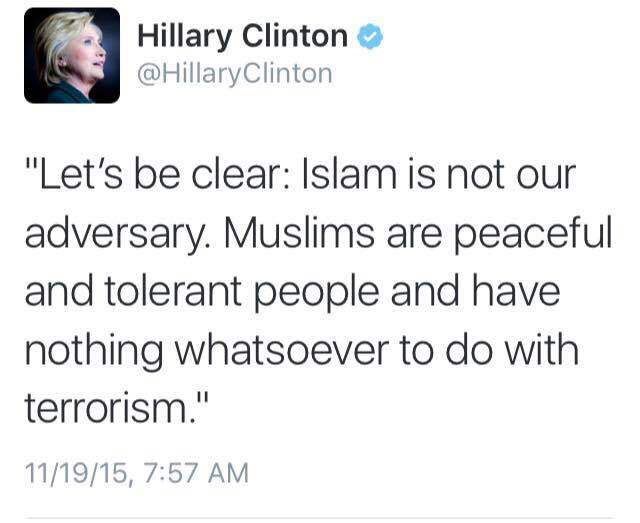 From a woman who wants to be our next Commander in Chief, this haunting tweet came on the heels of the San Bernardino terrorist attack–an attack which left 14 people dead and may have been prevented if our visa vetting process asked better questions than “Are you a terrorist, yes or no.” Hillary is either willfully blind, accepting, or frighteningly ignorant of Sharia law– Islamic law which regards homosexuality as a sin punishable by death and is actively practiced in no less than 10 Islamic countries like Iran, Saudi Arabia, and Yemen. Many of these homophobic, and misogynistic, countries have collectively given Hillary, Bill and Chelsea Clinton, hundreds of millions of dollars. For what purpose? The advancement of human rights? Laughable. Orlando was not gun violence (although the American Press’s technically-correct narrative would try to convince you that Orlando was just another “mass shooting”). Orlando was not lone wolf terrorism. Orlando was not a spontaneous uprising caused by a video on YouTube. These dangerous statements purposefully ignore the bloody and horrific truths of Islam. 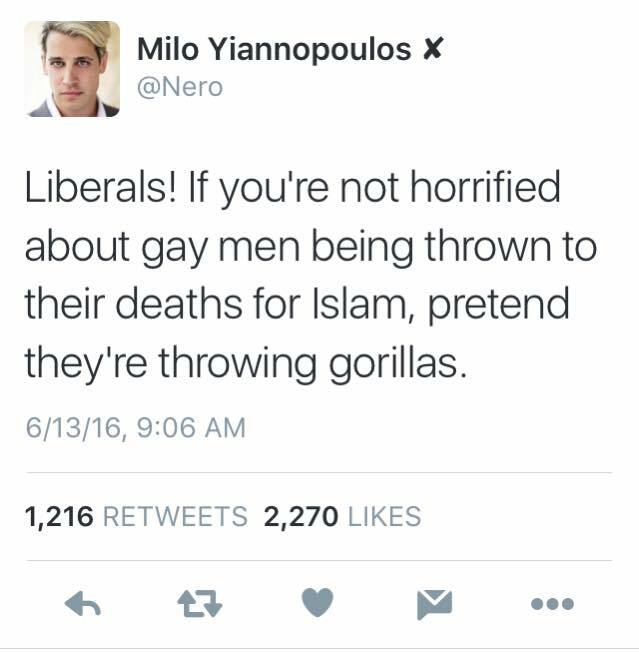 The Barack Obama administration and progressives like Hillary Clinton, have continually whitewashed Islamic terror. Climate Change, we are told, is a greater threat to mankind than Islamic jihadists. Maxine Waters, speaking to the Islamic Society of Orange County CA, is on video supporting the adoption of Sharia tenets within, or in conjunction with, our constitution. In 2014, after Boko Haram, a Nigerian, Islamic terrorist organization kidnapped 200 school girls, Hillary, once again, took part in a pointless and ineffective twitter campaign demanding that the terrorists #BringBackOurGirls. Yet in 2011, her State Department didn’t stand up to terrorism by refusing to brand Boko Haram as a terrorist organization, against the advice of many of her Republican and Democrat peers. This whitewashing of Islamic terror has not only infected our immigration policies, but also our branches of federal and local law enforcement. 72 suspected terrorists on the no-fly list work for…wait for it…the DEPARTMENT OF HOMELAND SECURITY. Additionally, the Daily Caller reports that the Homeland Security Council (HSAC) submitted a report to DHS Jeh Johnson, just a few days before the Orlando terrorist attack, instructing the department to not use any language that might be considered “disrespectful” to Muslims. The words Jihad, Sharia, and Takfir (Infidel) are among the list of words not to be used. According to Hillary, these terrorists shouldn’t own a firearm, which leads to many of us asking why terrorists are employed by a government bureaucracy in charge of our safety and security. If Lutherans or Catholics went on bloody, homophobic rampages, called for the execution of gays, or waged jihad against Muslims, Christianity would be banned, not protected, by this administration, charges of hate speech would be levied, and churches monitored or shuttered. The left has no problem with blackballing Christians, suing nuns, or insulting Christianity. Yet, Islam remains exempt from their progressive outrage, scrutiny or scorn. Progressives simply open their wallets or look the other way as gays are routinely executed in Islamic countries and women are subjugated and abused. If speaking the truth about Islam is Islamophobic, what is it called when you ignore it? 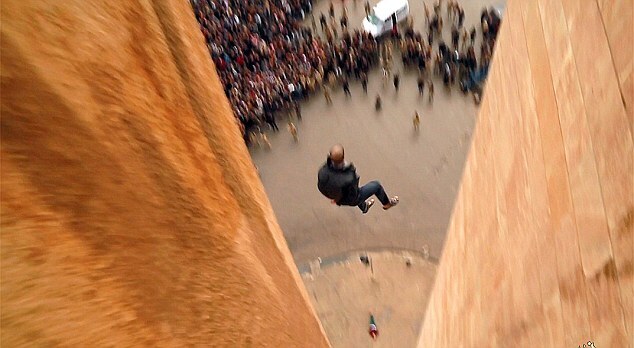 Christians may not want to bake a gay wedding cake, but Christians are not the ones throwing gays off of buildings. Orlando is about gun control as 911 was about plane crashes or box cutters. Every act of Islamic terror is answered by the progressive cry for gun control; a cry that, once again, whitewashes the truth about Islam and Sharia. If emptying Gitmo is an olive branch to the terrorists, the olive branch has been returned in a hail fire of bloody carnage. Drawing a picture of Mohammed is also Islamophobic–a sin punishable by death, as nearly proven in Garland, Texas. Thank God, not Allah, for our protections granted to us by our second amendment. The American people were admonished to not insult Islam and that we are not at war with Islam, yet when one looks to Boston, Orlando, San Bernardino, Merced, Chattanooga, Fort Hood, etc… the pattern is Islam and the pattern is asymmetric warfare. 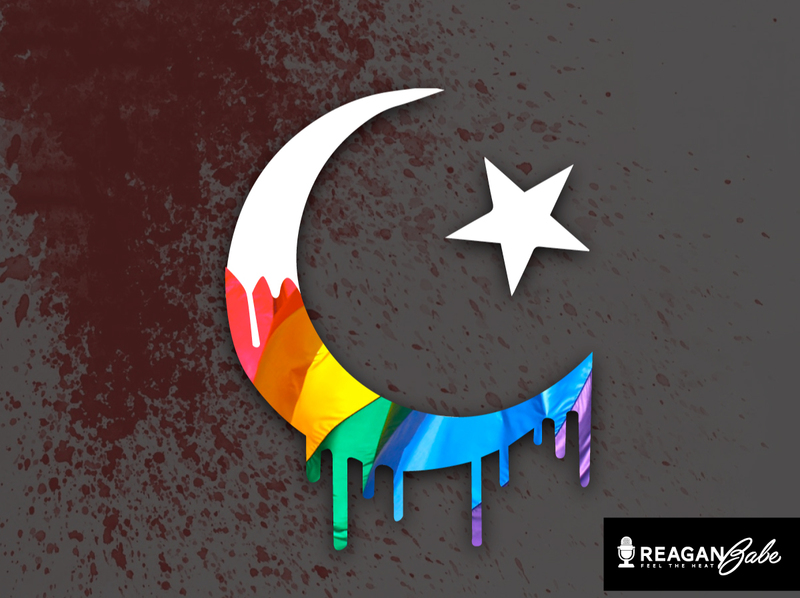 According to Pew Research, nearly half of muslims in the US believe that homosexuality should be discouraged. Omar Mateen, the terrorist who killed 49 people and wounded over 50 others at a gay nightclub in Orlando over the weekend, was a student of the Blind Sheik’s bodyguard, now an Imam, who, in a lecture series, condemned and referred to homosexuals as “devil worshipers.” Omar Mateen was not a lone wolf, he was a known wolf, and with the continuous progressive whitewashing of Islamic doctrine through political correctness and charges of Islamophobia, the infidels, the LGBT community, will be targets of Islamists who walk amongst us, who work for our federal government, and rely on progressives, like Barack Obama, Maxine Waters, and Hillary Clinton, to protect them. I am a gay man and this disgusting incident has persuaded me to join the Trump train!” Snowduckling wrote. I think it’s horrible that adherents of Islam are allowed to spread their hate without any criticism and with tons of censorship. What we have clearly isn’t working and we need a change. Hillary and Sanders will just roll over and put out the welcome mat for more Islamic influence and terror. With Trump we at least stand a chance. Yesterday I learned that the left doesn’t give a f*** about me, they won’t do anything because it’s not PC and might hurt someone’s feelings,” he continued. “It’s about time that I jumped ship. Personally, I know that I’d rather be denied service from a bakery than be riddled with bullets during a hate crime performed by a crazy radical Islamic terrorist. The truth is needed in order to stand a chance in understanding the threats associated with unabated immigration and Islamic jihad. With the truth, we can stand together. With political correctness, we remain weak and divided. In Donald Trump’s words, “the days of this deadly ignorance must end and they will end soon.” God willing.